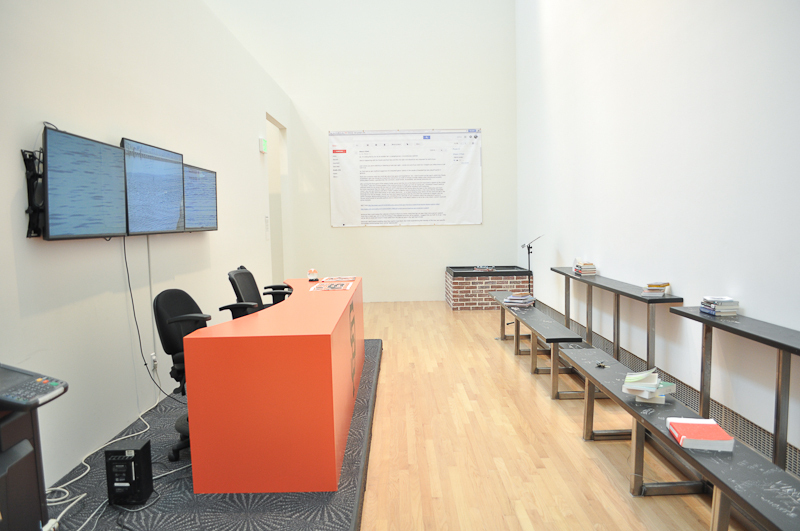 Installation view, Work in Progress: Investigations South of Market, Yerba Buena Center for the Arts, 2016. Yes! Yes! Yes! – a Casual Conversation with Shaun O'Dell on Positive Visualization, Yerba Buena Center for the Arts, 2016. The Floating Stadium, installation view. 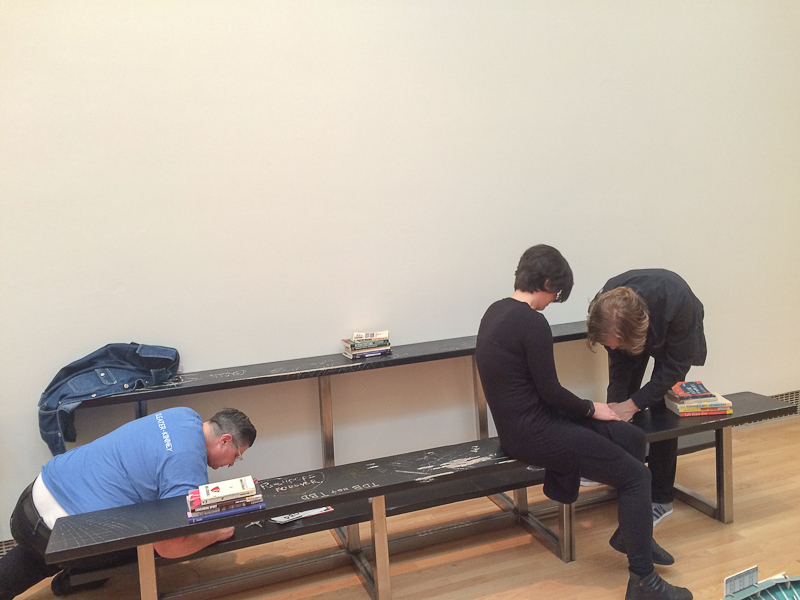 Work in Progress: Investigations South of Market, Yerba Buena Center for the Arts, 2016. The Floating Stadium, detail. Work in Progress: Investigations South of Market, Yerba Buena Center for the Arts, 2016. 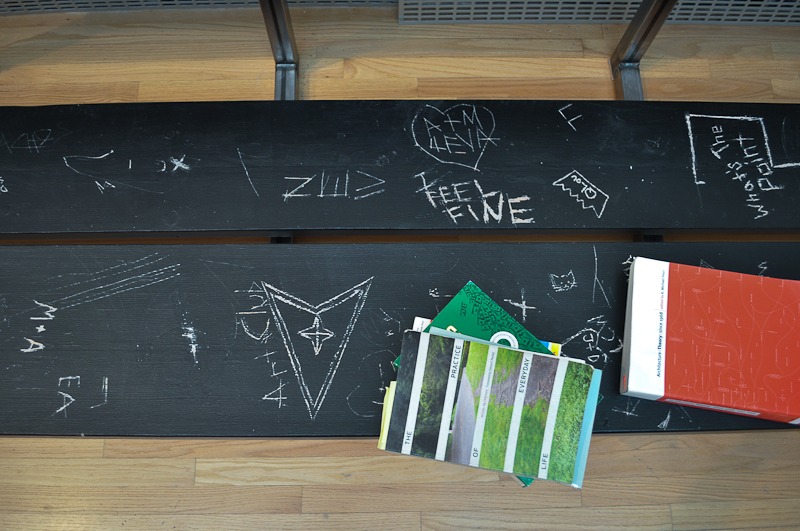 Bleacher Distressing Ceremony, installation view, 2016. Bleacher Distressing Ceremony, detail, 2016. After the Big One: Utopia or Oblivion, installation view, 2016. All Yerba Buena Center for the Arts installation images courtesy John Foster Cartwright. Stadium Projects (established 2015) is an architectural experiencing firm comprised of Monte Masi, Joshua Peder Stulen, and Lex Kosieradzki that focuses on stadiums and their roles as sites for cultural production. Looking at the relationships that communities have to stadium development and placemaking, their mission is to address how stadiums project affect into urban space. Through fieldwork and historical research, the collective formulates inquiries and dialogues that engage with ideologies of the commons, cultural capital, historicization, psycho-geography, and urban development. Public conversation with ecstatic Giants fan, metaphysician, revolutionary optimist, artist, and teacher Shaun OʼDell on positive visualization, group thinking, and joint vision. “After the Big One: Utopia or Obilivion”: a theatrical reading of a play written by Stadium Projects, in which the San Francisco ballpark floats away in the ocean after an earthquake, with Giants ballplayer Hunter Pence and polymath Buckminister Fuller as the main characters.